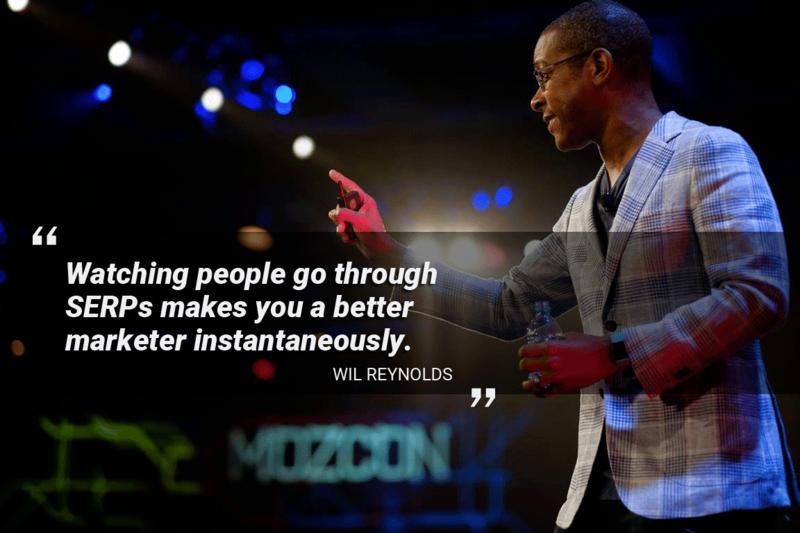 I just got back from Seattle where I attended the tenth edition of MozCon, one of the largest conferences for SEO and content marketing. 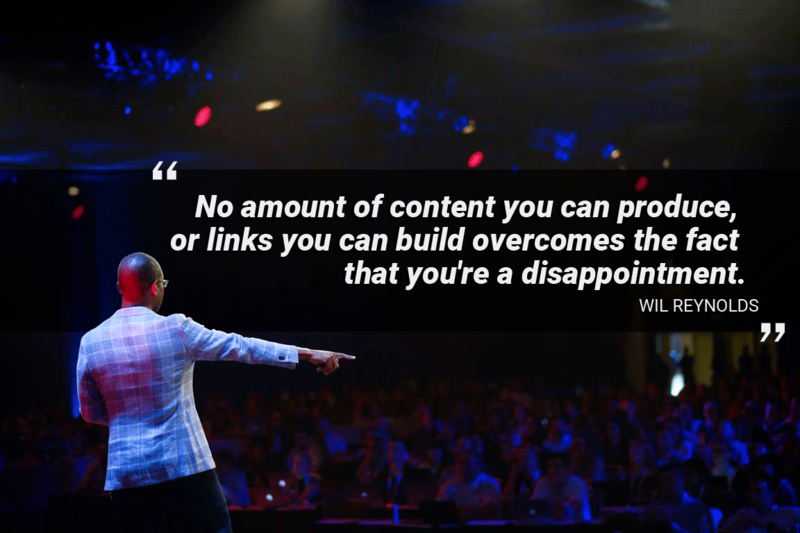 After three days of inspiring presentations and meetings, here are the most important SEO trends that, in my opinion, should be factored into your content marketing strategy. Google’s mission is simple: respond to search queries with the most relevant results possible. But how do Google’s bots determine which results are high-quality without speaking to users? Traditionally, what we know about the algorithm is that website ranking is based on many different factors, the most popular of which is the quality and quantity of inbound links from external sites. 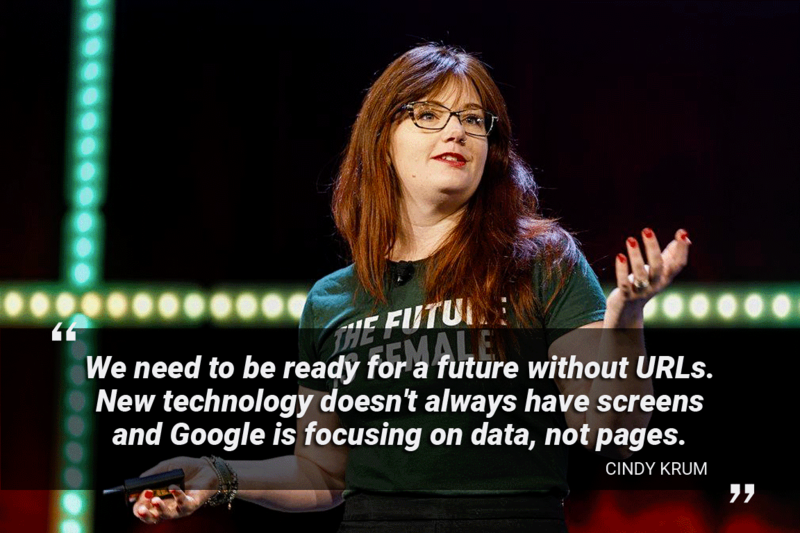 For a bot, evaluating user experience is extremely complex, but after many years of testing and learning, Google’s algorithm is getting better and better at discerning whether or not a user is satisfied with the results they get. 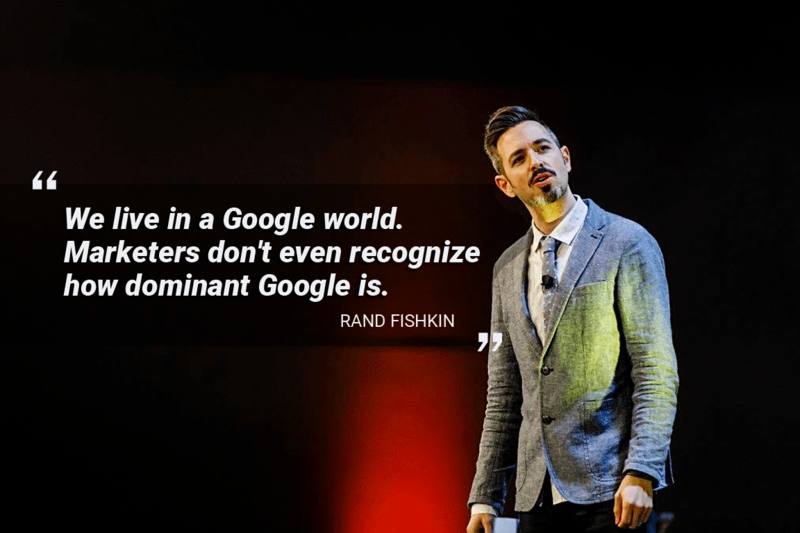 According to several SEO masters including Wil Reynolds and Rand Fishkin, it’s not crazy to think that user satisfaction will eventually become the most significant factor in search rankings. In SEO, a satisfying search experience means that the user easily found a site and that the content they were served responded to their questions and objectives. Imagine the following behaviour: a number of users are searching for keywords related to your industry. They find your website and click on the corresponding result. However, they leave almost immediately and click back to the search results page where they choose a more appropriate site. Why would Google continue to serve up your site as a response to that particular user search? 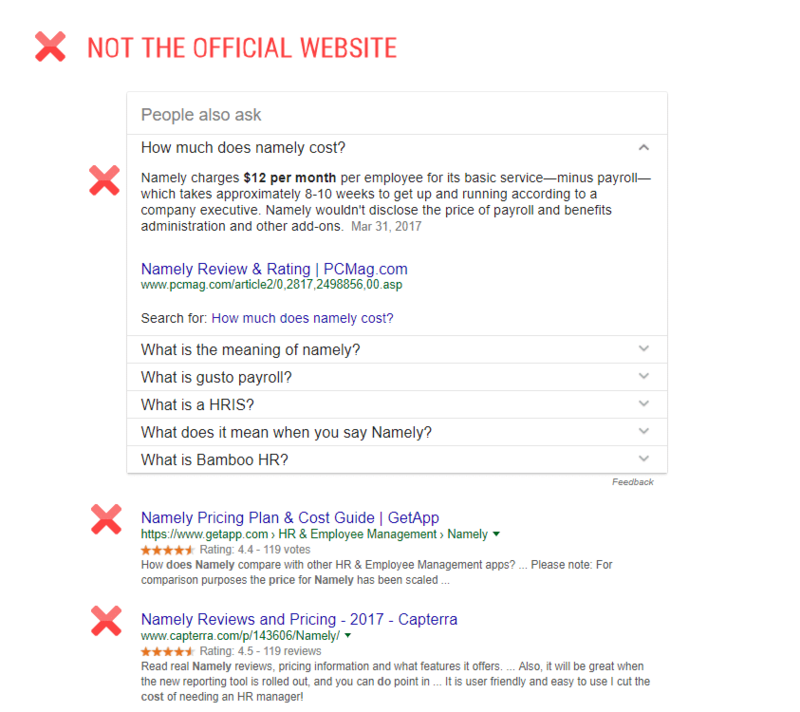 Here’s a relevant example presented at MozCon that demonstrates exactly that: if you search for the cost of the Namely platform on Google (“How much does Namely cost?”), the brand itself won’t show up among the top results. Why? It’s simple. The Namely website doesn’t provide pricing. Similar to many other platforms and software, the company prefers to collect contact information before presenting their pricing grid. As a result, Google has decided that the official site isn’t able to adequately respond to that request, and so shows other sites to the user instead. Consequently, users (who were initially interested specifically in Namely!) end up visiting external sites, where they may well end up being dissuaded by user comments and/or the presence of competitors’ services. How can you improve user satisfaction? Use different methods of user research (some of which are covered in the following section) to understand why users are satisfied with the content on your site (or not) and, above all, identify potential solutions. In SEO, we put a lot of emphasis on understanding the user to create and optimize content. We use a lot tools to help us understand the user better, most of which provide us with quantitative metrics. The methods currently in use are solid, but after the talks I heard at the conference, I see opportunities to go farther. The ultimate goal is to be more closely aligned with UX and to include qualitative metrics to our research and analyses. 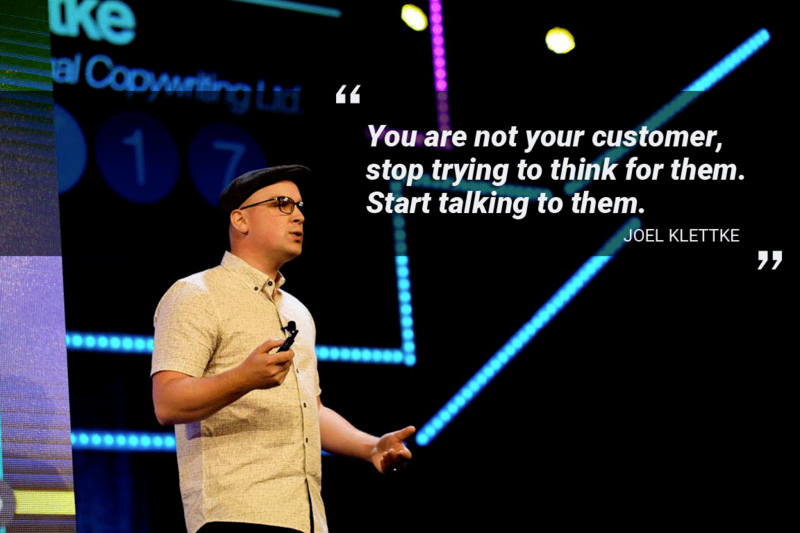 We need to do more than try to put ourselves in the skin of our users. Instead, we should be listening to what they have to say, observing how they interact with our content and, above all, talking to them. During the session I’d Rather Be Thanked Than Ranked, Wil Reynolds, founder of SEER Interactive, talked to us about having worked for three years to get the top search results for high-value commercial keywords like “SEO agency”, “SEO experts”, and other similar terms. The result? They wasted a lot of time and money because, in fact, the users who were searching these keywords were generally not qualified. Conduct user tests: For example, it’s recommended that you start individual interviews with tasks for them to carry out on search engines. Give your participants (or colleagues) very clear instructions and ask many questions. Try to understand why the user clicked on one result over another. Is it because of the date? The call to action in the HEAD TITLE tag? The reputation of the site displayed? 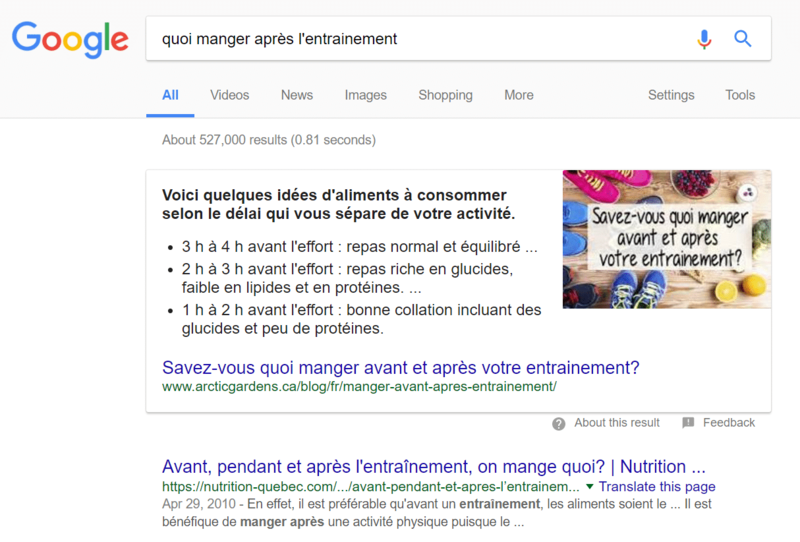 Use related searches: Among other things, the suggested searches at the bottom of the page can help you understand the way users are searching (and therefore better identify and define their intentions). First, we want to understand how users search. Then, we want to know if they’re satisfied with the results they’re getting and, above all, what drives them to either continue navigating through a particular site or, conversely, to immediately click away. Instead of relying on arbitrary metrics like the bounce rate, time on page or social cues to determine whether your content is relevant and appreciated, why not ask your users directly? Use surveys on your site: For example, if you have a blog, you could ask the following questions: “Did you find this article useful?”, “What other types of tips would you like to see on our site?”. This way, your readers have the opportunity to help you optimize your existing content and find ideas for new content. Take advantage of heat mapping and visitor recordings: Lots of tools, such as Hotjar and Crazy Egg, let you record visitor sessions. That way you can observe user behaviour and identify obstacles or points of dissatisfaction, so that you can correct them. Measure internal clicks and scroll: In combination with qualitative data collected through interviews, surveys and visitor recordings, there are also scroll tracking and click tracking scripts you can use. Also, consider measuring the scroll in both directions, not just down. As Google has made updates, we’ve seen several new search results formats appear. These changes reflect the evolution and transformation of the process of searching online. More and more, users want to access information quickly, at all times and from any device. Featured snippets and voice search are perfect illustrations of these new user expectations. According to an Ahrefs study, the top organic results see a drop in CTR of 6.4% when a featured snippet is displayed above the search results. There are currently three formats for featured snippets (that you’ve almost certainly already seen on Google! ): the paragraph, the list and the table. It’s important to differentiate between featured snippets and rich snippets. A rich snippet enriches classic search results with additional information (for example, the number of calories in a recipe). With tools like Moz Pro, Ahrefs and STAT, it’s possible to evaluate the probability of appearing as a featured snippet and identify the type(s) of content to create or optimize to make it happen. What is the connection to voice search? Voice search is very similar to featured snippets because it presents the user with an abridged version of a web page. Essentially, it quickly communicates information without requiring the user to visit a website. Another similarity is the strong correlation between featured snippets and voice results. Google uses the position zero results to define voice results, which means that if you want to dominate voice search, you first need to work on securing featured snippets for your content. Because of the complexity and uncertainties involved in achieving position 0 and voice results, for many people it’s better to focus their efforts on the technical optimization of their website, so they’ll be properly indexed by Google and easily found by users. When I started my career in SEO, the technical aspect seemed complicated and inaccessible. Fortunately for new recruits and me, there are people out there who do an excellent job of making this information more accessible, such as Cindy Krum, Britney Muller and Dr. Pete Meyers. Here’s an overview of a few SEO requirements and principles to ensure that you’ve got a solid technical foundation, that you’re up to date and that you’re ready for 2018. CMS: Make sure you have an up-to-date, flexible CMS as well as the most recent content optimization functionality. For Moz, updating their CMS allowed them to increase page views by more than 150%. Better management of canonical tags and the integration of structured data using schema.org were the main factors for success. Content optimization: We’ve known for a long time that optimizing tags (like HEAD TITLE and H1) allows us to considerably improve the performance of our content. However, at MozCon I was surprised by the number of speakers who mentioned the META description. In addition to increasing the click rate, this tag can also play a role in featured snippets. To illustrate this, Britney Muller from Moz presented a test in which a typo in the META description caused them to lose their spot in position 0. 301 redirects: During a redesign, task is a must for preserving traffic. It’s a painstaking process that has to be done, at least in part, manually. It is essential to prioritize 301 redirects when you’re redirecting each page from the old site towards a corresponding page on the new site. Internal links: Build a content architecture that prioritizes sharing authority between the major pages of your site. While keeping the user’s journey and interests in mind, reflect on relevant ways to connect related pages together. Duplication of content: Avoid having two identical or very similar pieces of content on your site. Pay attention to URL parameters (like ?filter=*) that can quickly increase the number of duplicate pages on your site. To find out more about this, check out this very comprehensive guide on managing duplicate pages on e-commerce sites. Structured data: Structure your data by implementing microdata formats (Google officially recommends JSON-LD). This will allow you to effectively communicate the structure and content of your pages to Google rather than having to rely on bots to find and decode them. Structured data can also help with rich snippets (and Pinterest, too!). HTTPS: Adopt the protocol. 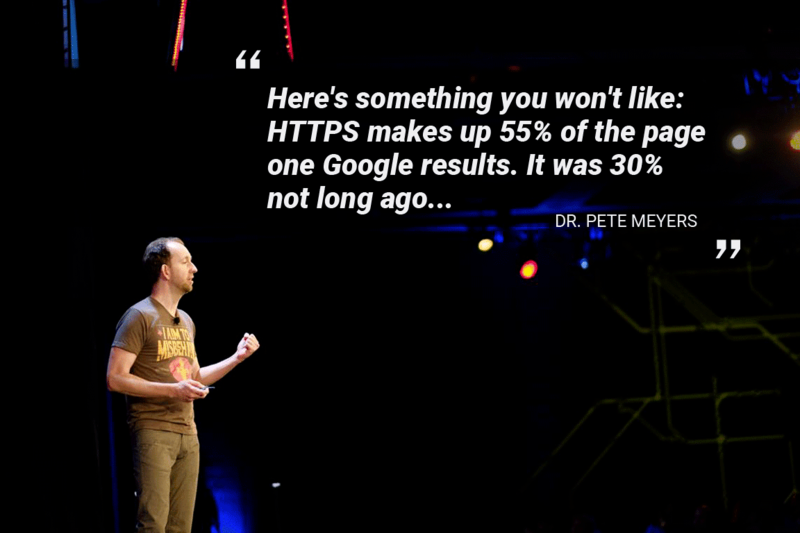 Currently, 55% of first-page results are in HTTPS. Eventually browsers (particularly Chrome) might start warning users that a site isn’t secure, which would affect the performance of your forms and e-commerce pages. Because it’s a potentially risky task, it’s a good idea to evaluate the potential impact and do some testing before making the change. Prioritize the creation of complex and unique content (and therefore difficult to replicate by Google or your competitors). Optimize your internal search engine and navigation so that they are simple and intuitive: rather than go back to Google, the user will stay on your site for their next search. To see the rest of his suggestions, download his presentation (PDF). Pierre-Olivier is known for his optimization of local and social digital assets, as well as his SEO strategies on search engines, which has solidified his reputation with major clients.